In this translation, the plural “flappen” is most common, but it is only used informally and jestingly. See ‘Examples’ for common usage. In this translation the most common appearance of the word “flap” is in the compound “flapoor” which translates to “flap-ear” or “protruding ear”. The way to create a diminutive in Dutch is by adding “je” or “tje” to the noun. 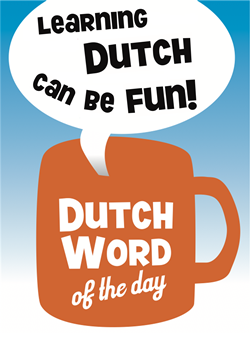 It is very common to use diminutives in the Dutch language. A specific kind of words even has an extra informal diminutive. This is also the case with “flap”. The diminutive is “flapje” which is not really used unless of course you are talking about a specific small flap. The informal diminutive is “flappie”. A child with “flaporen” can be mockingly called “flappie”, but it would be more common to call your rabbit “Flappie”, since rabbits have protruding ears, some breeds even more so than others. Around Christmas time you always hear the same classic popular songs by Wham, Chris Rea etc. and in the Netherlands there is one popular song by a comedian called ‘Youp van ‘t Hek‘ that gets a lot of air time in the days leading up to Christmas. The song is called “Flappie” and he sings about how he was a young boy and his rabbit “Flappie” went missing on Christmas day. Then later it turns out that “Flappie” is served for dinner! It is both a funny and sad song and you can read the lyrics, as well as listen to the song here. This entry was posted in Dutch word of the day, DWOTD 1.0, Vocabulary Intermediate and tagged flap, flappen, flappie by Dutch Gurus. Bookmark the permalink.